- Riding Smurf (without motorbike), unmarked. 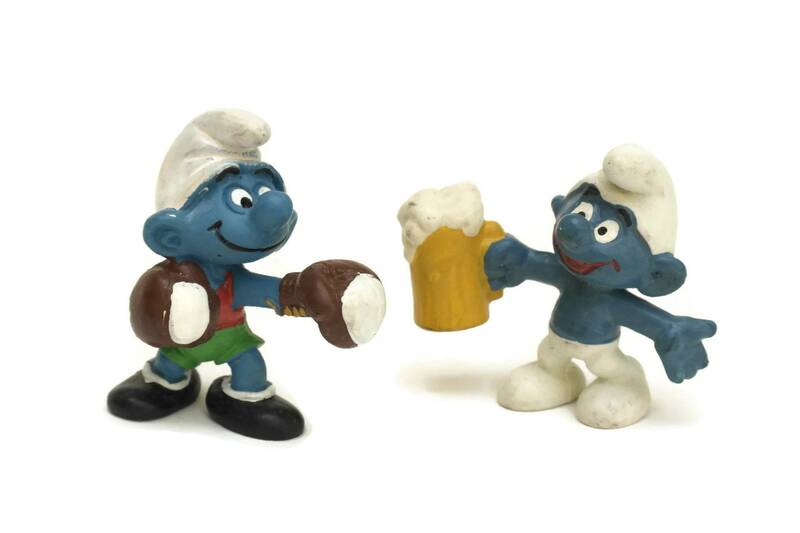 The Smurfs (Les Schtroumpfs in French) is a Belgian comic franchise centered on a fictional colony of small, blue, human-like creatures who live in mushroom-shaped houses in the forest. 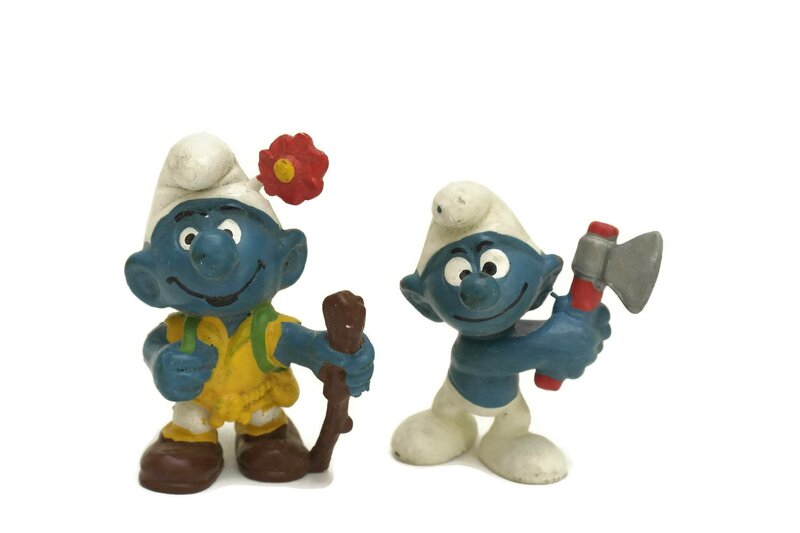 The Smurfs was first created and introduced as a series of comic characters by the Belgian comics artist Peyo (the pen name of Pierre Culliford). 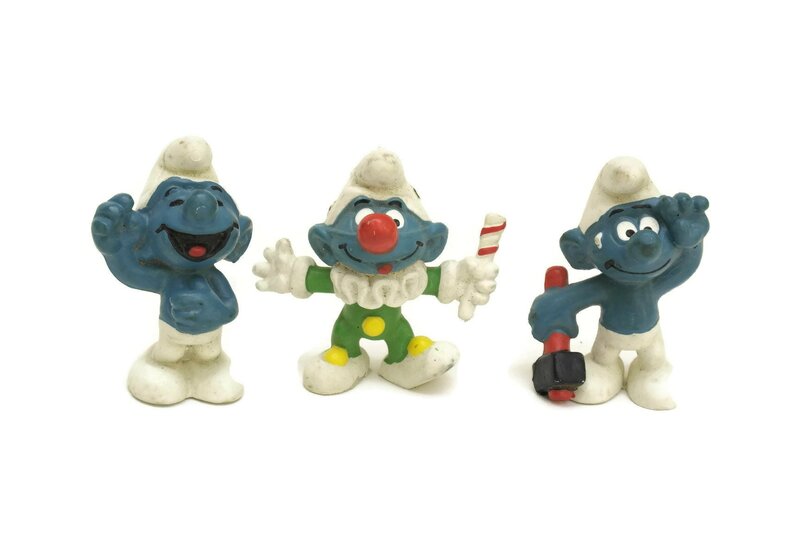 There are more than 100 Smurf characters, and their names are based on adjectives that emphasize their characteristics, such as "Jokey Smurf", who likes to play practical jokes on his fellow smurfs. 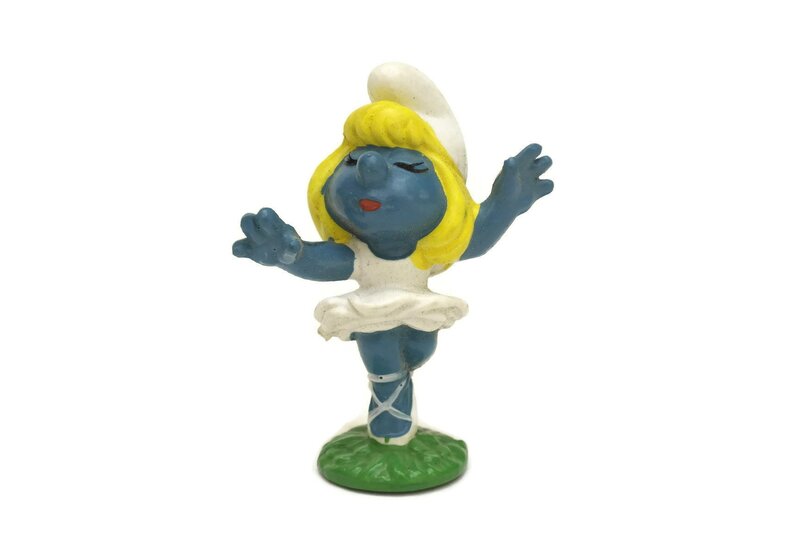 "Smurfette" was the first female Smurf to be introduced in the series. 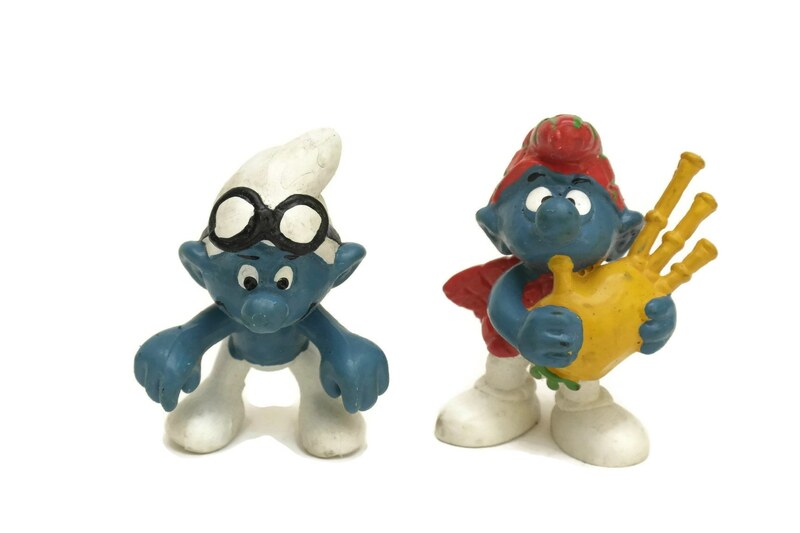 Vintage smurfs figurines have become very collectible. 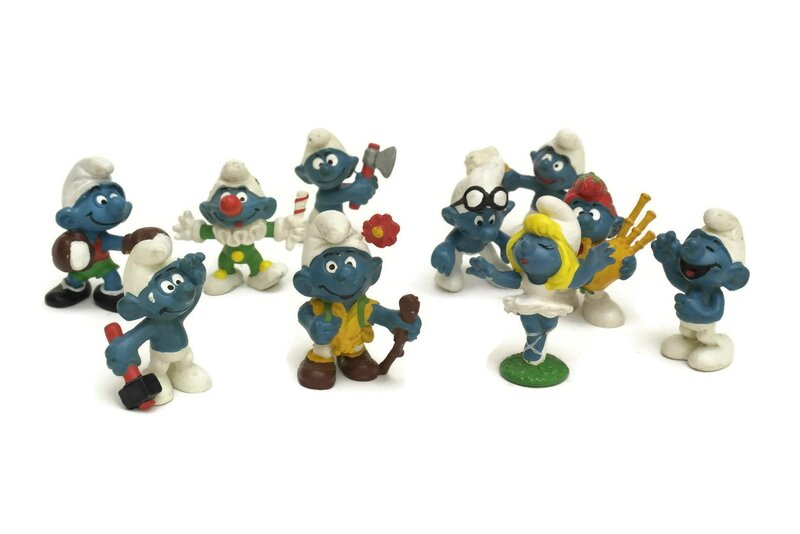 They will make a great addition to your children room decor. 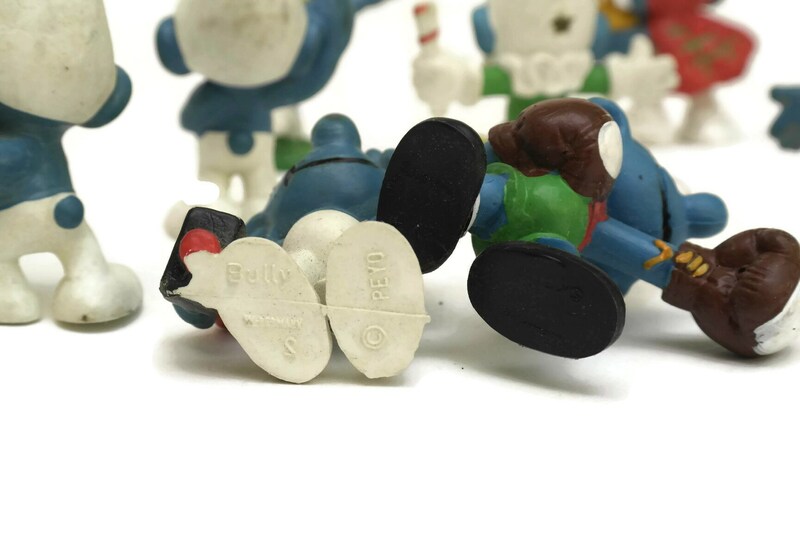 Each figurine is approximately 2" High (5 cm). 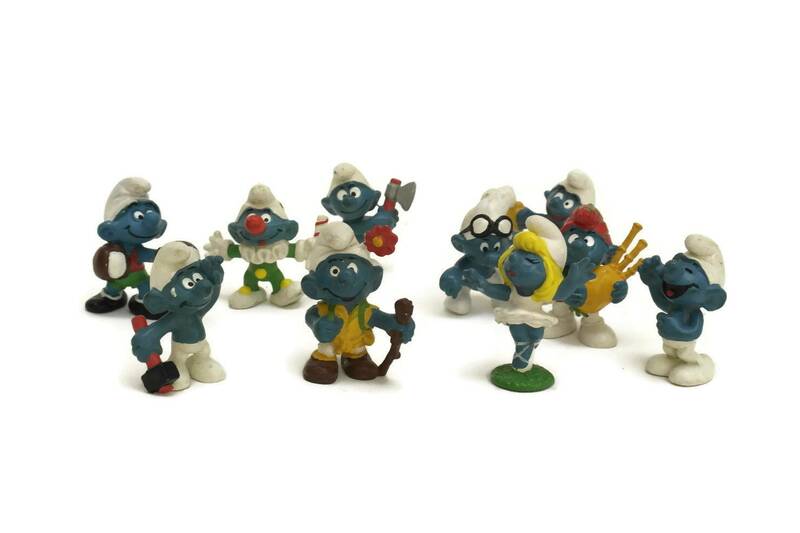 The set of 10 Smurf figurines is in very good vintage condition with light signs of age and wear including some surface marks and wear to the paint in places.